Vietnam Tour Guide at Back of the Bike Tours provides the best customer service on our Vietnam Tours to tourists looking for a tour guide while having a challenging and fun career in tourism. 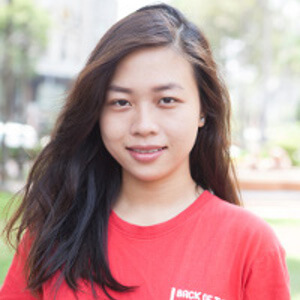 If you are looking for a tour guide Vietnam, Back of the Bike Tours provides some of the best Vietnam Tour Guides in Ho Chi Minh City on our Vietnam Tours. 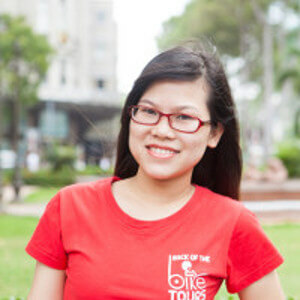 Vietnamese Tour Guides are the #1 factor to providing a great tour experience. This is why we are always hiring and training the best professional young Vietnam Tour Guides in Saigon to provide the best Ho Chi Minh City Tours, Vietnam Food Tours, and Private Motorbike Tours. If you are looking for a great Vietnam Tour Guide, read below on why we know and have the best Vietnam Tour Guides on our tours. Vietnam Tour Guide is a challenging and rewarding career for any Vietnamese person who wants to be involved in Vietnam Tours with Back of the Bike Tours. While encouraging tourists looking for a tour guide in Vietnam, we also encourage young Vietnamese who want to be a Vietnam Tour Guide to reach out and contact us at Back of the Bike Tours. Our Vietnam Tours encourage all of our Vietnamese Tour Guides to learn about different cultures, customer service, teamwork, and time management during our Vietnam Tours. We believe that Back of the Bike Tours is a great place for young Vietnamese tour guide to start their career as a Vietnam Tour Guide. Continue to read below to find out more information about Back of the Bike Tours and how to become a Vietnam Tour Guide on our tours. You can also contact our HR Team about becoming a Vietnam Tour Guide by contacting us on our jobs page to submit your CV. A Tour license is required for anyone who wants to be a Vietnam Tour Guide with Back of the Bike Tours. Ho Chi Minh City has a few different Tourism schools for a Vietnam Tour Guide to study in order to receive their tour guide license. A tour guide license is required in order to provide a Vietnam tour to any visitors traveling in Vietnam. 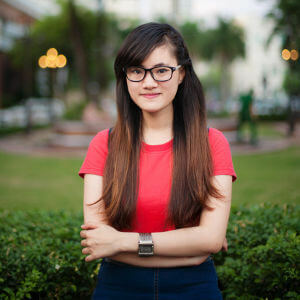 If you want to be a Vietnam Tour Guide after graduating college with a different degree, you can still attend a class to learn about Vietnam Tours to receive your Vietnam Tour Guide License in as little as 3 months. 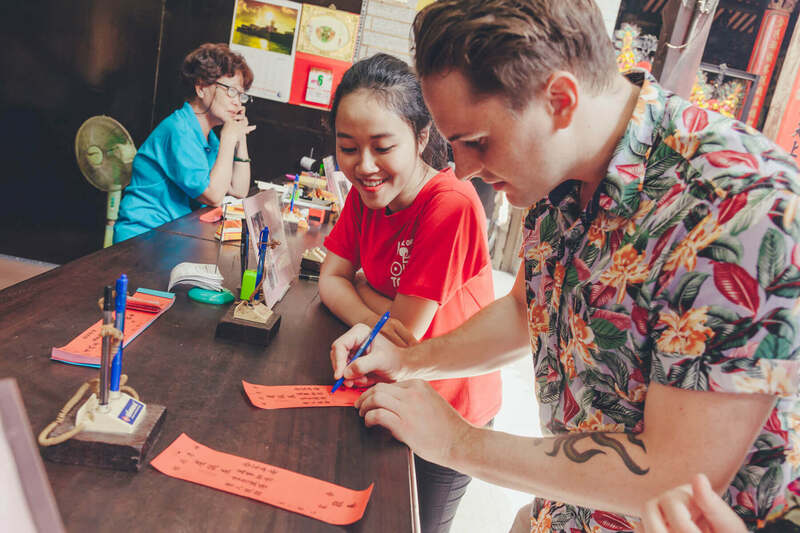 Our Vietnam Tours have been operating for over 8 years and during that time, we have had many of our tour guides go back to school to get a Vietnam Tour license in order to advance their careers as a Vietnamese Tour Guide. 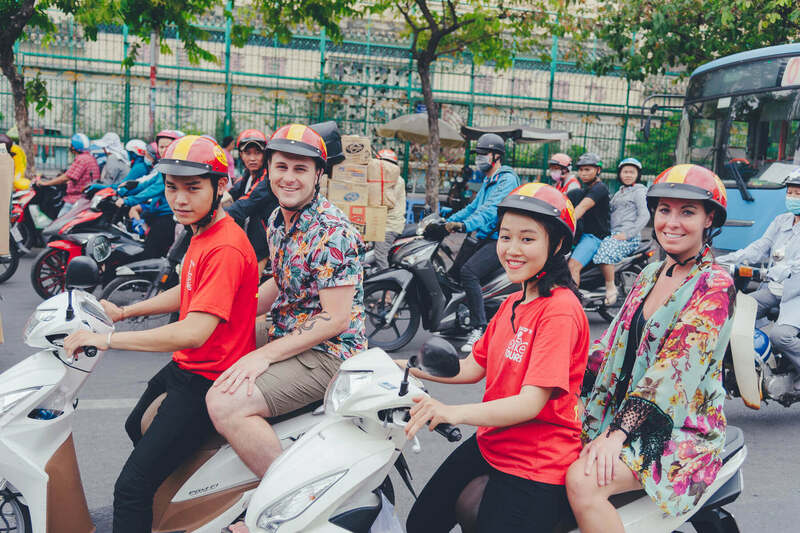 As a Vietnam Tour company, Back of the Bike Tours supports any of our team members who show the drive and responsibility necessary to be a Vietnam Tour Guide who would like to attend Tourism school to obtain their Vietnamese Tour Guide License. Vietnam Tour Guide is a challenging position at Back of the Bike Tours that requires passion and skills in customer service to provide high quality Vietnam Tours. Vietnam Tour Guide is by far the most important but difficult position at Back of the Bike Tours. Vietnam Tours can be a challenging experience for many Vietnamese tour guides if they do not have a huge passion for providing tours to travelers in Vietnam. During a tour, Any Vietnam Tour Guide who works at Back of the Bike Tours will need to help manage our other tour guides during the tour. This requires having patience with our Vietnam tour guides so that we can teach them how to provide high level customer service. Any Vietnam Tour Guide at Back of the Bike Tours will also have to understand reading and adapting to different Vietnam tour customers from all over the world who are using our tour service. Some Vietnam Tour customers can be very open and excited about our Vietnam tour experience, while any Vietnam Tour Guide knows, there can be a lot of customers who are more introverted and require a bit more care and explanation from their Vietnam Tour Guide. 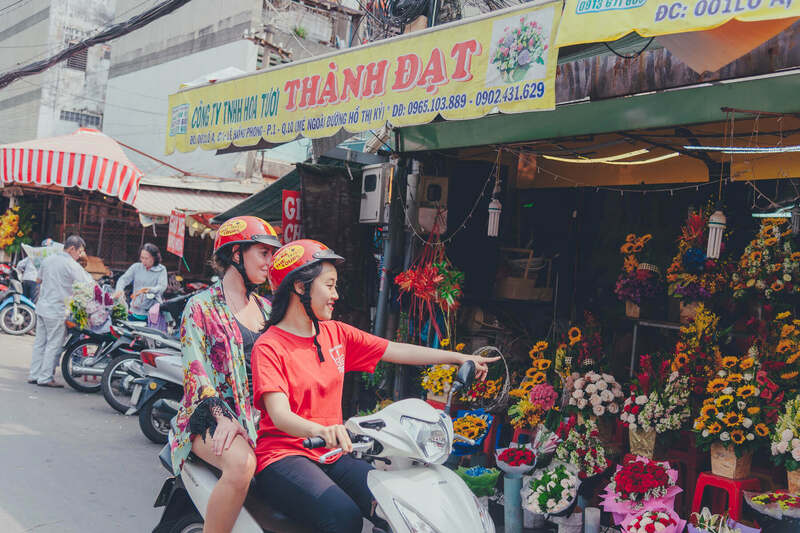 At Back of the Bike Tours, even though all of our Vietnam Tour Guides have a Vietnam Tour license, we provide customer service and educational training so that our Vietnamese tour guides provide five star tour experience to every single customer on our Vietnam tours. Back of the Bike Tours is always looking for a strong Vietnam Tour Guide to join our team and help provide great Vietnam Tours to travelers on our tour experience. A Vietnam Tour Guide who understands western expectations is hard to find. That is why we believe that any of our current Vietnamese tour guides who drive our motorbikes on the tour have the potential to advance their career as a Vietnam Tour Guide. 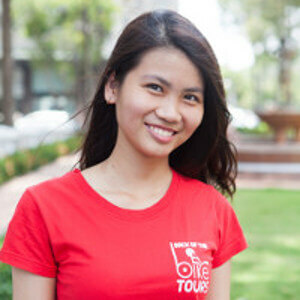 Back of the Bike Tours has already trained them in Western customer service expectations during our Vietnam Tours. 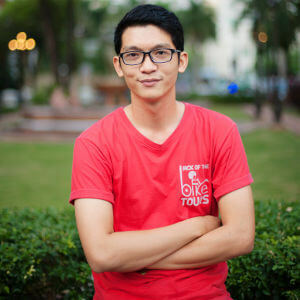 We will give a change to any of our Vietnamese tour guides if they are able to go to school to get their Vietnam Tour Guide License, show a strong passion for Vietnam tours, and have the ability to be a great tour manager. If you are interested in applying for a position as a Vietnam Tour Guide with us, then please do not hesitate to contact our team. If you are looking for a Vietnamese Tour Guide then contact us now to talk about our tour options with the best Vietnam Tour Guide you can find in Vietnam on any tour. 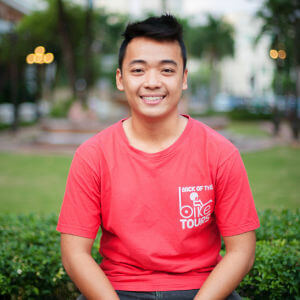 Our lovely tour guides are here to support tourism because they love their jobs as a Vietnam Tour Guide. We are changing the face of Vietnam tours and Vietnam Tourism by ensuring that all of our Vietnam Tour Guides are trained to be 5 star guides. Be sure to check out all of the local sights during our city tour! Feel the traffic of Ho Chi Minh City flow around you as we ride around like locals. 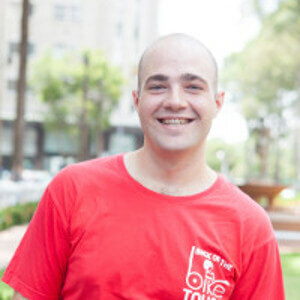 Our Vietnam Tour Guide will help explain what we experience on the tour in local markets. Some areas of Ho Chi Minh are known for specific items to purchase, like the Flower Market! Its fun to smell all the different flowers as we drive by on the motorbike. 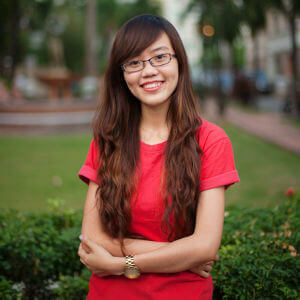 Our Vietnam Tour Guides provide a one-of-a-kind, authentic Saigon Experience! 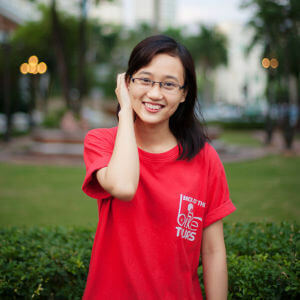 Our Vietnam Tour guides are the absolute best at helping you navigate your way through the streets of Saigon. On our tour you'll discover the history and culture of Ho Chi Minh City on the motorbike and through the explanation of our guides. 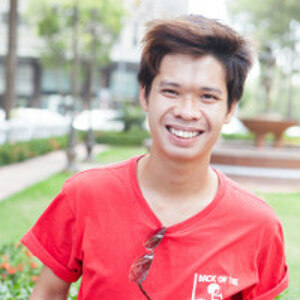 Jump on our Bikes and join our charming tour guide for a local's perspective of Ho Chi Minh City. 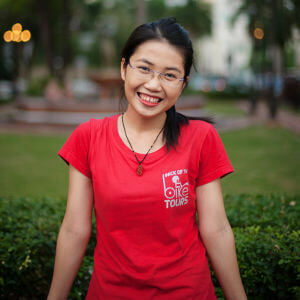 Our Vietnam Tour Guide guarantee that you will walk away with new cultural knowledge and a happy smile! What do we do on the Ho Chi Minh City Motorbike Tour? What Districts in Saigon will we see on the Motorbike City Tour?! Our “helmets” off to Back of the Bike Tours for giving us a taste of Saigon we will never forget. We arrived in the big dusty city by overnight train from Hoi An. Feeling tired and overwhelmed by the noise and traffic, we stayed close to the hostel until our guides scooted over to pick us up. My husband and I were lucky to have An, Nhi and Thien 1 all to ourselves that day. What a gift to get to know these three young Saigoneers. 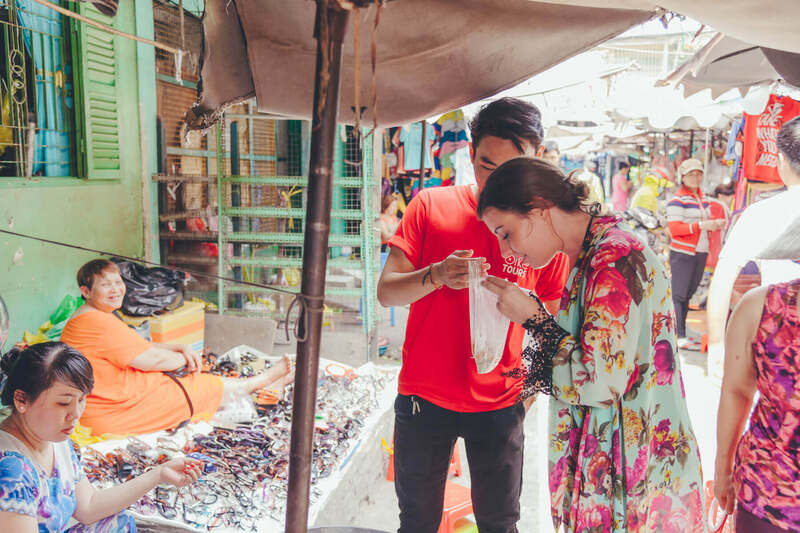 We savoured our conversations with them as we toured the city, devoured the delicious authentic southern Vietnamese dishes served and marveled at the chance to experience the great river of scooters flowing through town on the back of their bikes. During our four hours with them we learned much about Vietnamese culture. Do not miss this opportunity to feel a part of the real life of Saigon. A perfect start to my Vietnam trip! Before visiting Vietnam, I’d heard the food is amazing and the traffic is crazy, so I decided to experience both upon arrival with a Back of the Bike tour. My amazing guide, Tinh, and fearless photographer, Thien, met me at my hotel and we were off on the adventure of a lifetime! I loved the food, and the stories I learned about the merchants made the trip so special. 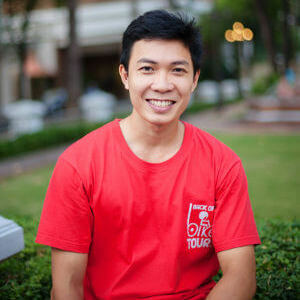 Tinh and Thien were so friendly and knowledgable and truly went above and beyond to make my time here memorable! This is one of the best food tours I’ve ever experienced… thank you!! We did this on our first full day in Vietnam. It was fabulous. We’d highly recommend everyone do this. It’s a great way to get a feel for Vietnamese food, but it’s not just that. The guides were fantastic and super friendly and chatty. We didn’t quite make it to the end of the tour as our kids (ages 10 and 11) got very tired with the time zone change on their first day. We didn’t quite get to the end, but we experienced three quarters of the trip and it was enough to still have a great time. The guides were then super helpful and delivered us back our hotel early. We didn’t expect any refund, nor did we request one, as it was not the fault of the guides that our kids were really tired, but they gave us a small refund anyway. We spent two weeks in Vietnam and along with many other things, we did this bike tour and another one in Hoi An. They were two of the best experiences we had during our trip. You definitely must do this! I went on the Saigon Food Tour with a group of eight people. It was very easy to book online the day before. The company sends you an email of what to expect, what to wear, and what to bring/not bring. Our drivers met us at our hotel. Everyone was incredibly nice and so clearly prioritized good customer service! (Everyone introduced themselves, wore name tags, and kept us informed about the order of events). I felt completely safe on the bike. Shout out to Hồng! At each food stop, our guides described the food we were eating, shared how to eat it, and helped us prep it (putting sandwich together, cracking open crab, etc). I felt so pampered! The food was the BEST I had on our 10-day trip in Vietnam. UNLIMITED food and drink. It was the bomb. The meals included a delicious variety of both food and drink, and they were very traditional must-have Vietnamese food. One of the foods include a “challenge food” which was so fun to try! I won’t spoil it. You’ll have to see! I HIGHLY recommend this tour and this company. 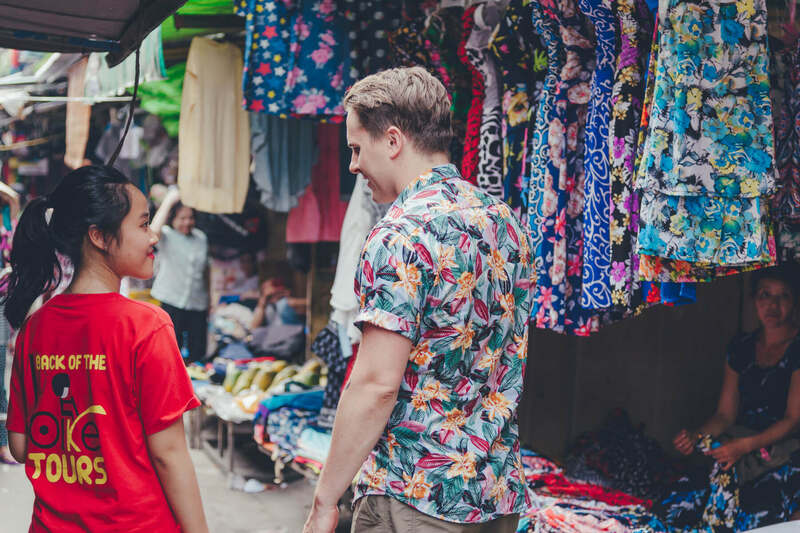 This tour and the guides that we met were the HIGHLIGHT of our stay in Saigon and one of out TOP 3 activities we did throughout our whole Vietnam trip! You will NOT regret it. It is totally worth the price you pay. Oh and they have their own cameraman, so you can just enjoy the ride! We got legit HD photos emailed to us the next day. This amazing company sorts through all of the photos they take and sends you YOUR photos along with group photos and all the photos of the food, included in the overall price you pay. Amazing, right?! I did not take a single photo on my own, and I am very happy with the photos that I got. Thank you Back of the Bike Tours! …The guides were very informative about Vietnam and the different types of food there. They focused on creating a comfortable and enjoyable atmosphere throughout the tour. I have been on tours before where the guides will only talk to each other and speak in their native tongue, which I find discouraging. Back of the Bike Tours guides interacted with each customer and spoke English the entire time. I would high recommend this tour company and their food tour!